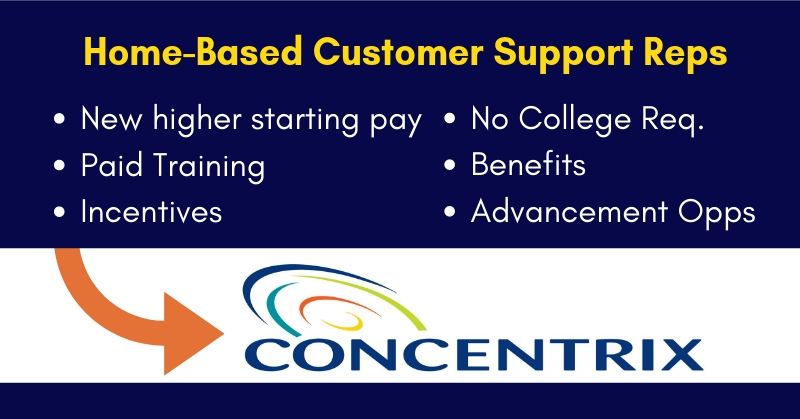 Concentrix, a legitimate company and longtime hirer of home-based workers, continues to recruit full-time and part-time Customer Support Representatives. Per Glassdoor reviews, average base pay is $12/hr., but that’s not official. Many RRRebels have been hired by Concentrix. For the current jobs, they’re hiring nationwide except for the following: Alaska, California, Connecticut, Delaware, DC, Hawaii, Massachusetts, Maryland, Missouri, Montana, Nebraska, New Hampshire, New Jersey, New York, Oregon, Vermont, Washington and Wisconsin. ← Work from Home Part-Time Transcribing Audio Recordings – No Exp. Necessary!